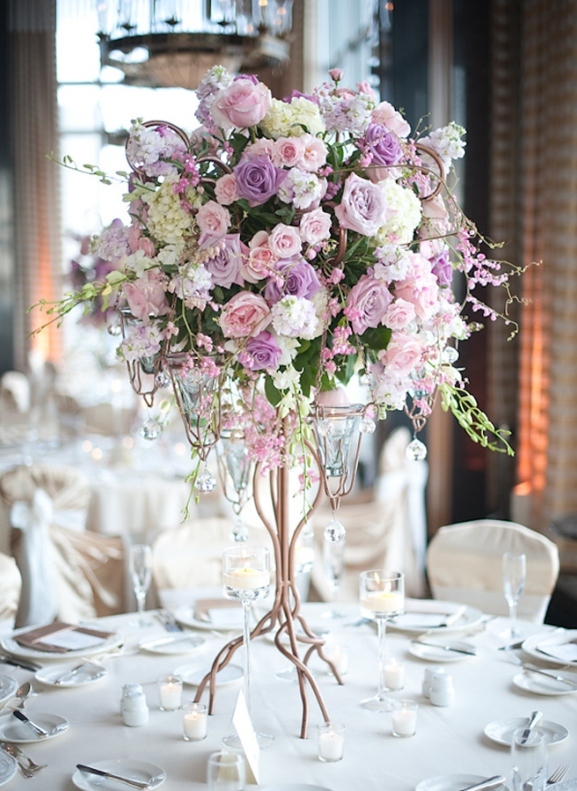 The centerpieces at your wedding will add beauty and style to your reception. In many cases, though, they end up being thrown away at the end of the party. These are some ideas for sustainable wedding centerpieces, which are both pretty and more eco-friendly. Anything that can be planted has the potential to have life beyond your wedding day. Small trees or topiaries, flowers, and bulbs all fall into this category. Just be sure that you have a good plan for how to get someone to take the centerpieces home to plant so that they do not end up left behind when the reception ends! It is a nice idea to offer them to guests, but people who are traveling may not want to take them. Have a Plan B, so that your mom or another local person will take the flowers home to plant. If you get really lucky, maybe she will plant them in your garden as a fun surprise to await you when you get home from your honeymoon. Since not everyone is into gardening, another idea for centerpieces that will not go to waste is to use potted herbs. This is a terrific idea for a rustic outdoor wedding where the bride is wearing a simple gown with handmade wedding jewelry. Pot a selection of lavender, rosemary, mint, and other fragrant herbs in small pots. Use simple clay pots for the most rustic look, colorful glazed pots for a bit more whimsy, or brushed aluminum pots for a more modern style. Group the potted herbs in the middle of the table (perhaps using risers or boxes to create different levels) for the centerpieces. 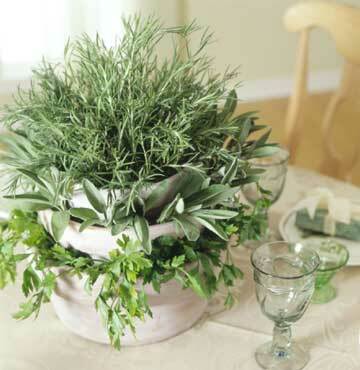 At the end of the reception, each guest can take home a pot of herbs as a wedding favor. This is a great concept, because you will not have to purchase separate favors, and your guests will have fresh herbs to use in their kitchens. 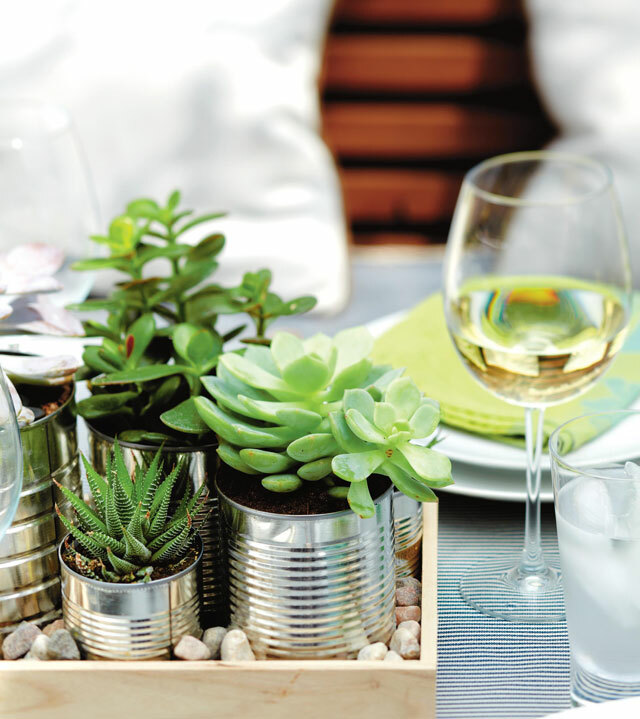 Potted succulents are another excellent option for sustainable wedding centerpieces. They look fantastic as wedding decorations, and are a great thing to take home afterward. Display the succulents in shallow white bowls with smooth river rocks for a simple yet elegant decoration. If you wish to add some color to the tables, float a few orange or hot pink flowers in clear cylinders next to the succulents. For a more rustic style, the succulents can be displayed in wooden boxes. Guests can either take them home to display in their homes just the way they are, or they can take them out of their containers to plant them in their gardens. Non-floral elements are a different approach to creating centerpieces that will not end up in a landfill after the wedding. Candles are always a good option, since they can go home with you at the end of the night. You will enjoy having all those candles to create a romantic ambiance in your new home. If you love the look of handmade wedding jewelry and other unique things for your wedding, you could consider making centerpieces from found objects. Stack up a collection of cool old leather-bound books for a literary theme table accent or build a tablescape around an assortment of beautiful vintage glass sourced from thrift shops. When your centerpieces are created from recycled materials and will also be something you can use again, that is definitely eco-friendly. Finally, if you love the look of cut flowers, but also the idea of reducing the waste from your wedding, do not despair. Arrangements made from cut fresh flowers can be donated to nursing homes or hospitals to brighten the day of the patients (make plans ahead of time). Flowers can also be composted to become nutrients for your garden at home. Every small step you take will help make your wedding more green.